The purpose of the Tarpon Springs Area Historical Society, Inc. is to promote the research and preservation of artifacts, relics and historical points of interest in the Tarpon Springs area; to provide educational and cultural development, and to preserve these materials and information for posterity. Tarpon Springs Area Historical Society, Inc.
Tarpon Springs, Florida has an interesting and culturally rich past that helps to draw thousands of visitors each year. 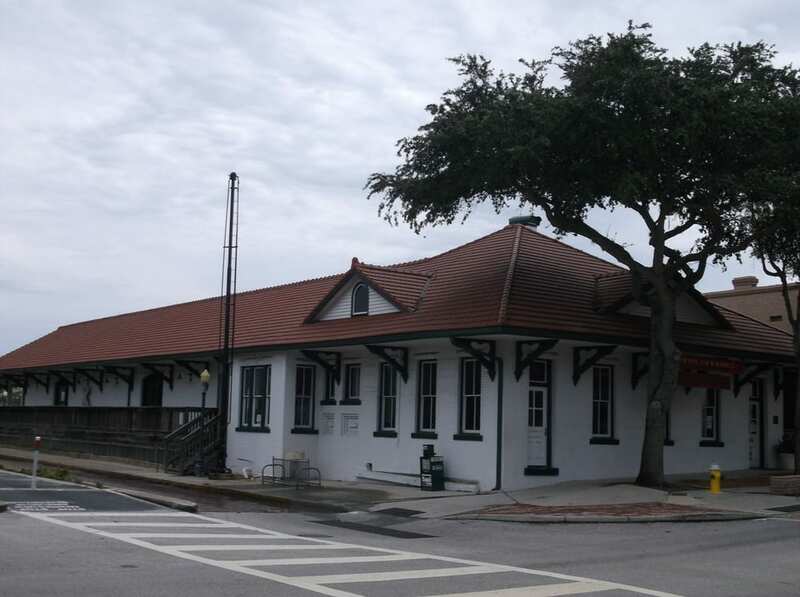 The Tarpon Springs Historic Train Depot has been around for over 100 years. While it is no longer a train station, it now serves as a museum operated by the Tarpon Springs Area Historical Society, Inc. We welcome you to stop in to see all of the historical exhibits and enjoy a guided tour or browse on your own. We feature a fun History Hunt for the kids or those who are still kids at heart! No fee but donations are always appreciated! We are open Wednesday-Saturday from Noon – 3:00 P.M. The purpose of the Tarpon Springs Area Historical Society, Inc. is to promote the research and preservation of artifacts, relics and historical points of interest in the Tarpon Springs area; to provide educational and cultural development; and to preserve these materials and information for posterity. The Tarpon Springs Area Historical Society, Inc. is always actively working to redesign our exhibits and to expand our scope of activities. Our mission is to keep the history of Tarpon Springs alive and help the many patrons of the city. The depot museum emphasizes the important role the railroad played in the growth of the town. The front rooms of the building have been restored to “be as they were” when it was a working railroad station. The rest of the facility contains exhibits on education, health care, local institutions, and many more. The historical society has developed a history hunt for the kids or the “kids at heart” to utilize for exploring the museum. The museum is also an official Welcome Center for the City of Tarpon Springs. Please let us know if you have any questions about where to stay or the various activities and sites to see around our wonderful historic city.